You say a lot with your mouth, but your mouth may be trying to tell you something. Is eating ice cream an unpleasant experience? Do you avoid your favorite hot tea or coffee? If discomfort or pain is associated with hot or cold foods, you may have sensitive teeth. 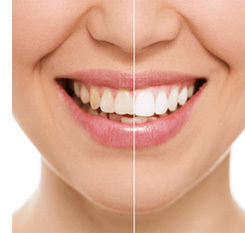 R Dentists get to the cause of teeth sensitivity, which is necessary for effective treatment. Generally, sensitivity can arise any time the gums or enamel of your teeth is damaged and exposes underlying layers. The dentin layer underneath contains holes that allow hot, cold, sticky, or acidic foods to reach the inner part of your tooth. Depending on your needs, the doctors may recommend desensitizing products like toothpastes, or treatments such as root canal therapy, fillings, or bonding. Relief is a call away, 289-768-7876. In the rush of our hectic lives, oral care is often delayed or overlooked entirely. However, proper brushing and flossing takes just a few minutes a day. Routine dental appointments take just a small part of your day, only twice a year. The alternative is to neglect your oral health, which can lead to gum disease. Plaque, the sticky substance that accumulates on tooth surfaces, is a breeding ground for harmful bacteria. When it is not removed promptly, infection sets in below the gum line – a condition known as periodontal disease.